H.E. 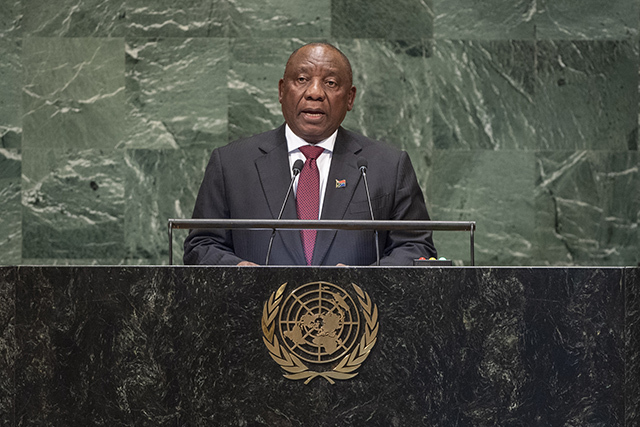 Matamela Cyril Ramaphosa, President of the Republic of South Africa, addresses the General Assembly’s seventy-third session. Photo courtesy of the United Nations. South Africa was elected to join the UN Security Council (UNSC) as a non-permanent member on June 8, 2018 for the 2019-2020 term, replacing Ethiopia as the third African Council member and joining Equatorial Guinea and Ivory Coast. This is the country’s third UNSC membership, following its prior roles in 2007-2008 and 2011-2012. Maputo, Mozambique. Photo courtesy of Wikipedia Commons. 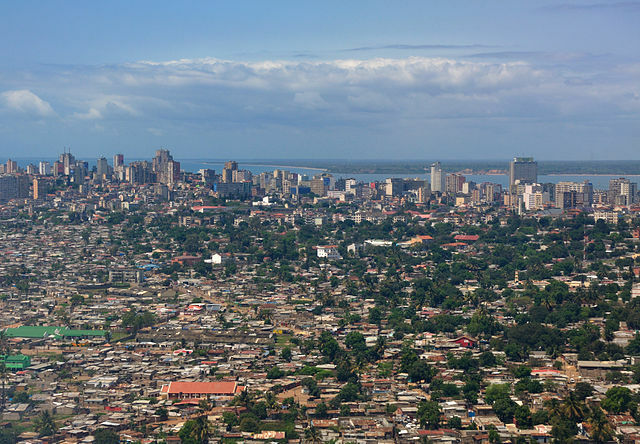 One year ago today, Mozambique experienced an attack by Islamist extremists, the first of its kind, when as many as 30 men stormed several police stations in the coastal town of Mocímboa da Praia in the Northern province of Cabo Delgado. An ominously familiar pattern has set in since. Incidents have increased, becoming more widespread and brutal with time. In the last twelve months, several dozen attacks have targeted civilians as well as state actors across the North. The violence has forced thousands of Mozambicans to flee, after homes and villages have been burned to the ground, and hundreds have been injured or killed, including adults and children beheaded by machete. Some government reactions have been heavy-handed, with the president promising a “firm and ruthless” campaign against terrorism, police have arrested hundreds, and this week trials began for 180 individuals held in association with the attacks. The military bombed by air and sea a village suspected of harboring terrorists, killing some 50 citizens, and abuse by security personnel sent North to stop the attacks is reportedly widespread. The experts, meanwhile, have warned against repression and advocated for ‘soft measures,’ to little discernable effect. The sum total is discouraging. One observer recently compared Northern Mozambique to Northeastern Nigeria at the beginning of the Boko Haram uprising. Shared Value: More than Just a Catch Phrase? 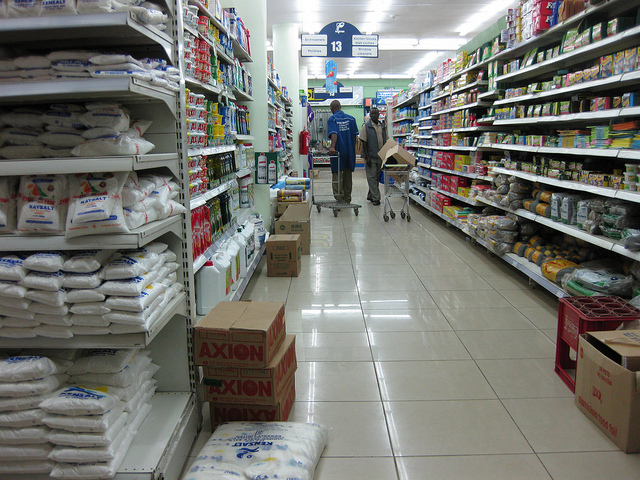 Customers shopping at a grocery store. Photo courtesy of Amy via Flickr Commons. Professor Michael Porter, head of the Institute for Strategy and Competitiveness at the Harvard University School of Business, and Mark Kramer, Managing Director of FSG, a social impact advisory firm, pulled no punches when discussing the deleterious effect that capitalism has on the state of the earth and the relationships between those who inhabit it in a 2011 article in the Harvard Business Review. The blind spot of capitalist business practice, they argue, is the belief that business is all about profit, no matter the effect on the environment, health, or welfare of those affected along the supply chain. They believe that blindly prioritizing profit has underpinned a global loss of trust in business and led some governments to adopt policies that hurt business. They also argue that corporate social responsibility investments have not helped. They often do not yield the expected positive results—not for business or for the communities or projects that should benefit from the investment. H.E. 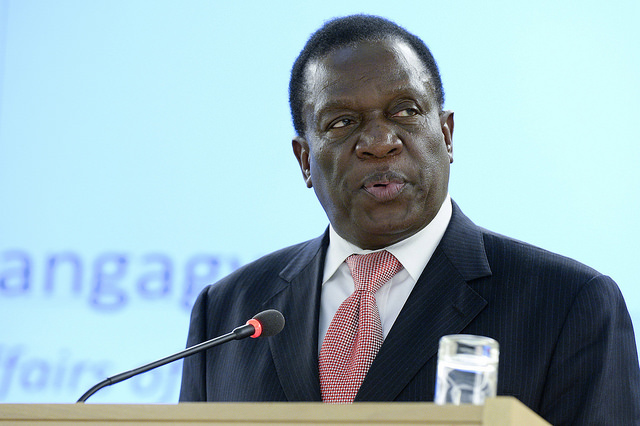 President Emmerson D. Mnangagwa at the 25th Session of the Human Rights Council. Photo courtesy of the United Nations Geneva via Flickr Commons. Zimbabwe is coming in from the cold. After 37 years of mismanagement and decline under Robert Mugabe, the population of the former breadbasket of Africa had enough, and ousted its leader in November 2017. While in many respects the bloodless coup was simply a re-organization and consolidation of power in the ruling Zimbabwe African National Union-Patriotic Front (ZANU-PF), Zimbabwe now has the opportunity to shed its pariah status and re-engineer its future. This will not be an easy task as cronyism, corruption, and maladministration have become so commonplace that any move towards just governance will seem radical and viewed (at least by some) as a betrayal. This farm in Ghana serves as one example of Africa’s agricultural landscape. Photo courtesy of Peter Casier via Flickr Commons. Agriculture is the heartbeat of Africa. The continent’s major agricultural advantages include an abundance of natural resources, a young and growing labor force, and a rising middle class, in addition to a surge in urbanization. The Continent has an estimated 600 million hectares of uncultivated arable land, roughly 65 percent of the global total. 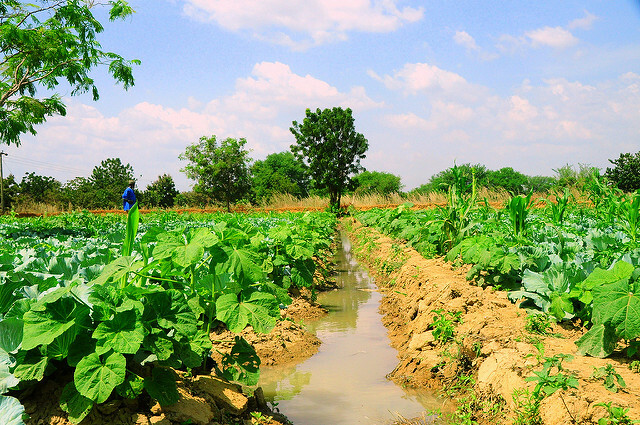 Its tropical and sub-tropical climates enable the cultivation of a wide variety of agricultural produce with minimal technological dependence. Africa also boasts large regional markets, even if the markets lack major industry players. Approximately 80 percent of agricultural land in Sub-Saharan Africa (SSA) is owned by farmers who cultivate small-based plots of land on which they grow subsistence crops or two cash crops, directly employing 175 million people. 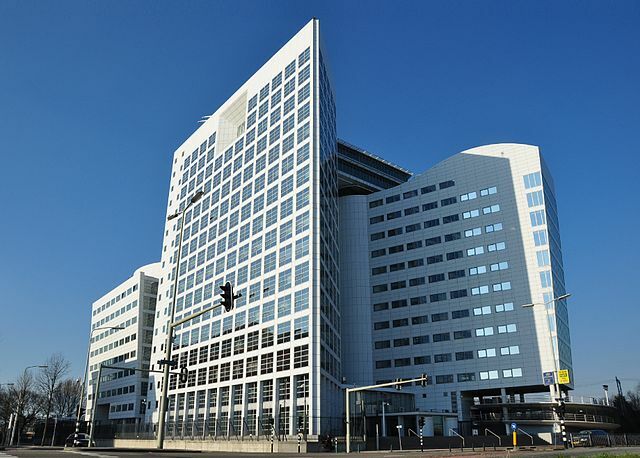 The ICC’s premises in The Hague, Netherlands. Photo by UN Photo/Rick Bajornas, via Flickr. Creative Commons. In February 2016, I wrote a piece for Africa Up Close on “South Africa, the AU, and tensions around the role of the ICC in Africa.” The context of the piece was Sudanese President Omar al-Bashir’s controversial visit to South Africa to attend the African Union Forum for China and Africa Cooperation (FOCAC) leadership summit in June 2015, and the subsequent call by Zimbabwean President Robert Mugabe in January 2016 for the withdrawal of African countries en masse from the International Criminal Court (ICC) owing to its “anti-African” stance. After presenting an argument against withdrawal from the Court, I ended the piece by stating that an outcome of withdrawal was, in any event, unlikely. I was sorely wrong. 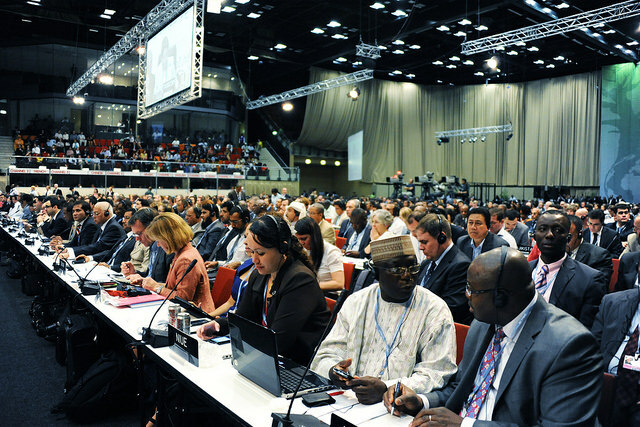 Delegates gather in South Africa for a UN climate summit in 2011. Photo by UN Photo/UNFCCC/Jan Golinski, via Flickr. Creative Commons. 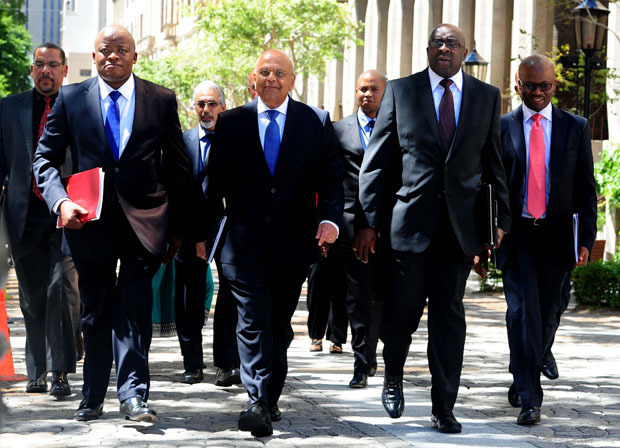 Once-and-current Finance Minister Pravin Gordhan, center-left, walks with now-former Finance Minister Nhlanhla Nene, center-right, ahead of a 2014 budget speech. Photo by Government Communication and Information System, South Africa, Creative Commons via Flickr. 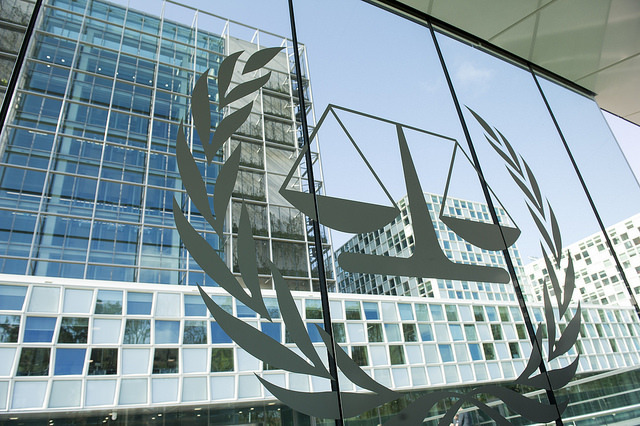 The International Criminal Court building looms over The Hague, Netherlands. Photo by Vincent van Zeijst, Creative Commons via Wikimedia Commons. The tensions between the African Union (AU) and the International Criminal Court (ICC) are not new. When the ICC indicted Sudanese President Omar al-Bashir in 2009 for crimes against humanity, war crimes, and genocide committed in Darfur, the AU raised concerns about the jurisdiction of the court to do so. In 2016, he has yet to be arrested. When the court issued a warrant for the arrest of the now-deceased President Muammar Gadaffi of Libya in 2011, the AU again rejected the right of the ICC to indict a sitting head of state. In the same year, President Uhuru Kenyatta of Kenya was ordered to appear before the court on five counts of crimes against humanity with regard to the election violence in Kenya. The war crimes trial of former President Laurent Gbagbo of Côte d’Ivoire began in December 2015, rekindling criticisms of the international justice system from across Africa. Over the past few weeks the international community has been reeling from Sudanese President Omar Al-Bashir’s visit to South Africa, which is largely being touted as a flagrant disregard for international law. Al-Bashir is wanted on charges of war crimes, crimes against humanity, and genocide in connection to the Darfur conflict, responsible for 300,000 deaths and the displacement of over two million people since 2003.